Place the peppercorns in a mortar and pound with a pestle until crushed. Place in a small bowl, add the vinegar, oil, sugar and salt and mix until combined. 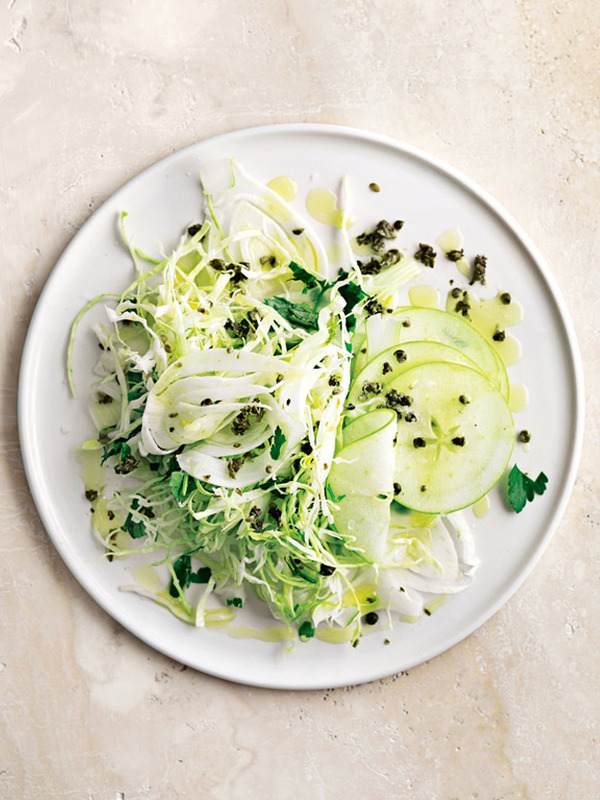 Place the cabbage, fennel, apple, parsley and dressing in a large bowl and gently toss to combine. Divide the slaw between plates to serve. Serves 4.